Esecurepay International High Risk Payment Gateway Highly Trusted High Risk Payment Gateway Providers. We are having Payment solutions like echeck, Credit card Processing, 2D, 3D and Wallet for our clients. We support Low Risk and High Risk Business. Esecurepay International High Risk Payment Gateway accepts new businesses and existing companies. We challenge better comparative price than other Merchant account Providers in the market. We also provide Bank transfer facilities, Wallet transactions, Direct debit technologies to all our merchants. Go Global. Accept Global Currency. Accepting Multi Currency payments has never been so simple. With Esecurepay, you can accept most leading different currencies and you easily settle into your bank account. Esecurepay can adapt customized solutions to each and every business at very low rates starting at 1.55%. Our solutions can tailor-fit to your business. We proud to provide less MDR in the market. We offer Daily settlements for our merchant located Globally. Merchants who have good Volumes, they can receive daily payout by multiple payment methods. You can Integrate our with our plugins in any platform to run business quickly and easily. rOu Technical team pre-built plugins to every major shopping cart and offer free integration services. Our services allow all merchants to accept payments offline and online from multiple locations with multiple payment methods around the world. We provide services with out any hidden charges apart from MDR and Transactional Authorization charges. That’s right. 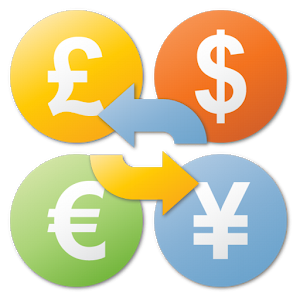 With Esecurepay’s international payment gateway you will only charged for low MDR which agreed with any currency. These are some charges are applied for International transactions as conversion fees But We make it with completely affordable to accept payments online from a global shoppers. You need to have best customer service to have a safe transactions to respond customer faster. In other way technically esecurepay have checkout system is a cornerstone of online customer experience system. With Esecurepay easy-to-use international payment gateway runs smooth, faster and easy for customers. And it’s simple to integrate esecurepay with most shopping carts available in the market and programming language. So you can be relax and no need to spend extra money for integration.